Last October I went to the Williamsburg Pottery with my mom when I was in Virginia for a visit and we saw daffodile and hyacinth bulbs on sale. I came home and tried to force bloom them and the daffodiles did ok just a little leggy and a couple of blooms around Christmas but I forgot to take a picture of them until after they were past their peak. I put the hyacinth in water the same time in early November and I have had only roots since then but then this past week I saw a little color peeking out of the bulb and I was so surprised and happy about it's appearance. What can make you happier than a peek at spring and a wonderful smell. I know some of you do not like the smell of hyacinths but I love them and feel so blessed to have it bloom for me. I thought I would share with you since I had a spring theme going here. I guess you did notice I made a cute tag to put on it. I used the new Nature Walk flower in the occasions mini catalog and used my Rich Razzleberry and Old Olive markers to color in the flower. Thanks for stopping by. 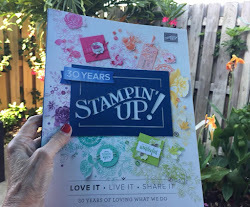 When I first saw the Stampin UP catalog in July I loved, loved what they did with a picture frame on page 98. I tucked that idea in the back on my to do list and then when I went to Leadership a few weeks ago I saw those darn cute frames in Momento Mall and knew I had to put those frames on the front of my list. Last week I stopped by the thrift store on the way home from work and got two frames that had a little bit of width to it and went by the hardware store to pick up some chicken wire and below is the results. Hope you like it. I love them. The before pictures was I bought them with the chicken wire on the bottom of the pic. By the way I have downloaded this picture 4 times and it keeps turning I am so sorry that it is not at the right angle. Primed frames: Painted frames: End result: don't you love this display I have a green one I am working on too. 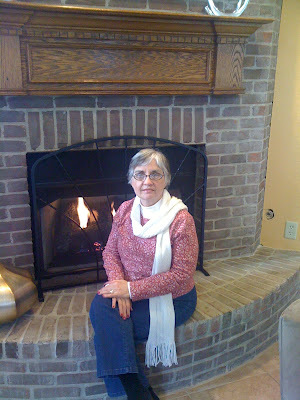 See what 60 degree weather will do to your creative juices! When I was in Nashville a couple of weeks ago I went to the Cracker Barrel for dinner with my room mate Robbin and in the front of the store part we saw a really cute display using birds and spring themes. 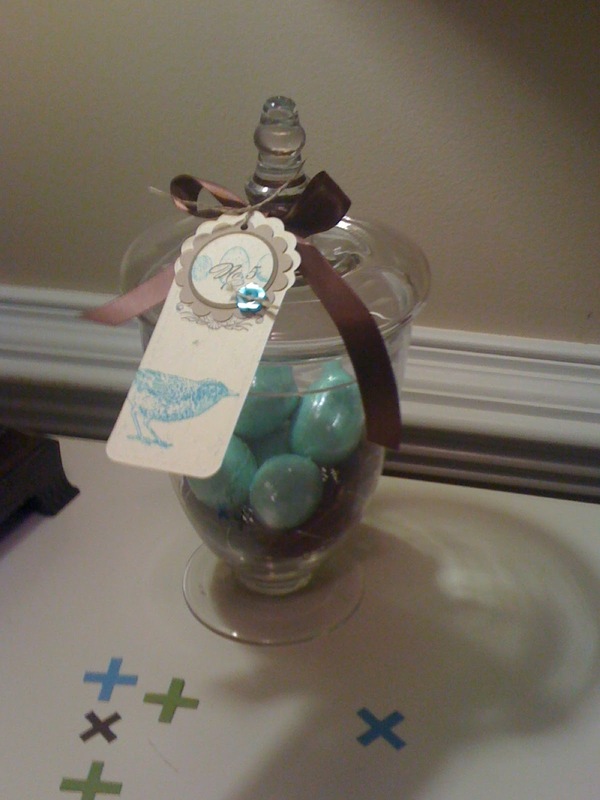 It was snowing off and on and I was so ready for spring and I knew I had to have the jar (ok more like a vase) with robin egg soaps in such a beautiful color of blue; but did not want to chance taking it home on the plane and breaking it. Yesterday on the way home I stopped by Cracker Barrel and they had the same display and I bought the last one, now doesn't this picture feel like spring is around the corner? I made a cute tag using the new Nature Walk stamp set which is one of my favorites in the occasions mini catalog. Can you believe only 1 more day until Sale-a-bration starts? I'm so excited!! 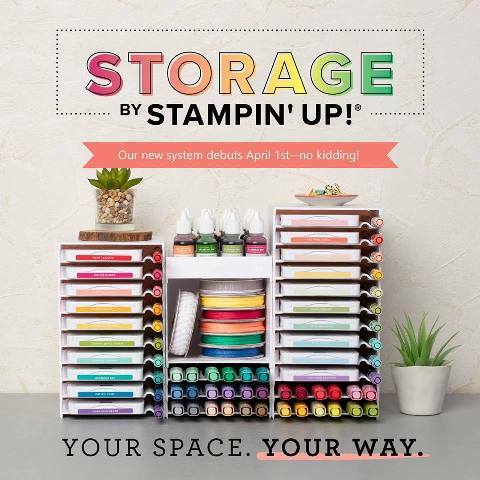 Now is the time to to fill your Stampin' Up! wish list and enjoy a discount on all your purchases? 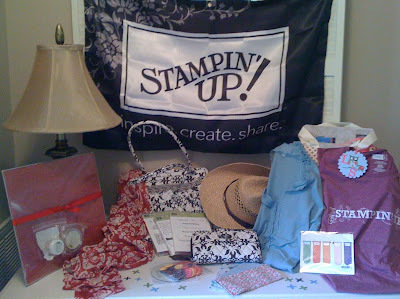 With the launch of the Sale-A-Bration promotion on Jan. 25, Stampin' Up! 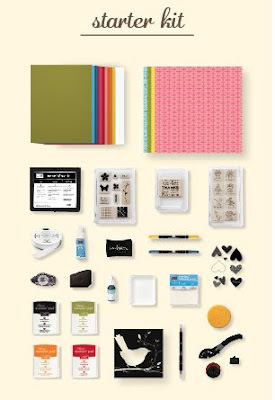 is offering a special Starter Kit! 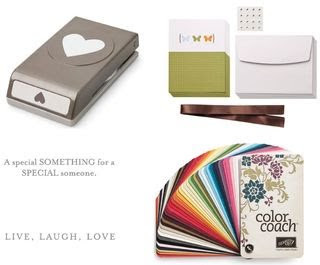 Choose either the Standard Starter Kit or Digital Starter Kit and save $15% ($148.75) NOTE: the stampin scrub will be replaced by a stamp set. Don't you ♥ FREE stuff??? FYI: There's no penalty to drop and you keep the kit and everything you purchased at a discount! You'll enjoy full demonstrator privileges through March 31, 2011. 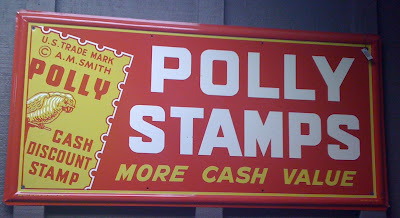 To remain active beyond June 30, 2011, $300 in product sales is required - including your own purchases! JOIN MY TEAM! When you sign up for your starter kit with me, you become a member of my personal downline, Wagstampers. We live nationwide and are entirely virtual, low pressure and fun! If you live in the area we do meet quarterly. SIGN UP ONLINE and enjoy instant benefits. 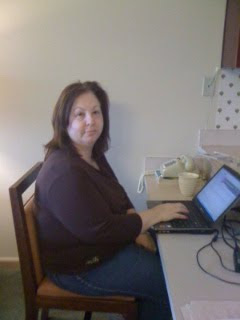 Go to http://www.stampinup.net/esuite/home/franceswagner/ Click on Start Your Own Business, and the password is wagstampers. If you are in the Raleigh, NC area and would like to host a show during Sale-a-bration, please contact me at wagstamp@bellsouth.net. I would love to show you and your friends all the exciting things Stampin' Up! has to offer! Plus with a $300 show, YOU receive a free Sale-a-bration product!! This was near the entrance to Momemto Mall. My second set of room mates, Jeria and Robbie. This is my stash that I got at Momento Mall. I love everything. I had great intentions of blogging every day while at the Stampin UP Leadership conference but I was so busy I did not have time so I am sharing some fun pics I took and hope you enjoy them. This was the entrance to Momento Mall, I was one of the lucky ones I got to be in the first round to go in. I always love the things they come up with and cute clothes too. The next couple of pictures are of cute frames with chicken wire on them to display. You know I have already gone to the thrift store looking for frames and to the hardware store to get chicken wire. I will take pictures after I get them made. I can't wait. This is one of their displays with the thermal type drink cup. Yes I got a couple for sure. This is a display of the matching clutch type wallets to match our fabulous tote/purse. Plus the new SU logo banner. 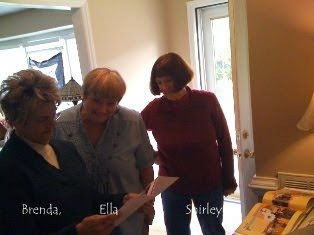 In my circle of stamping friends and customers I do not have very many that scrapbook. So when I went to leadership and they were offering an assortment of printed MDS (My Digital Studio) supplies for us to purchase I jumped at the chance. 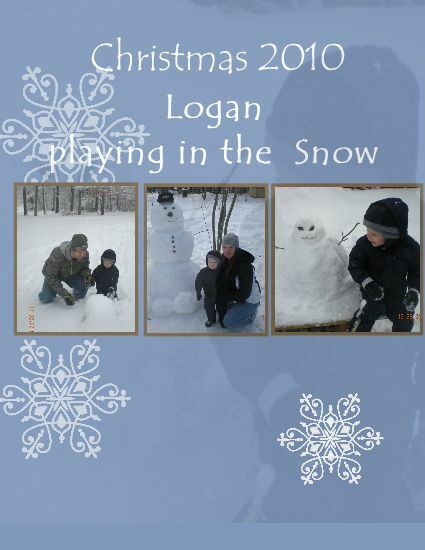 I have made Christmas cards when I got my MDS training and I have made quiet a few scrapbook pages BUT have not had them printed. I do use it for fun things like making cute labels, and making post cards (That I actually print) and my blog banner above I made with MDS. 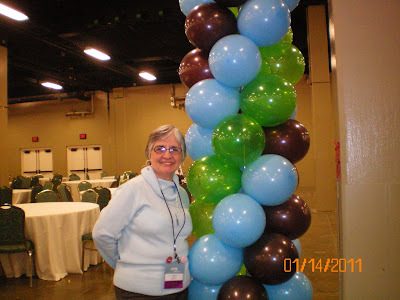 So Saturday when I had my MDS display out my stamp club talked about MDS for the first time. I love that program and as a matter of fact I have a MDS raffle for $5.00 each and when I reach 19 participants I will draw a name out for a lucky winner. 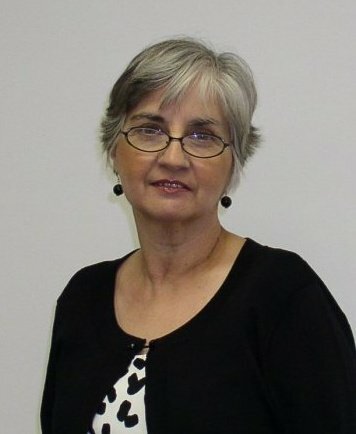 Go to www.mydigitalstudio.net to view a site that has great ideas and you can post your own ideas if you have MDS. 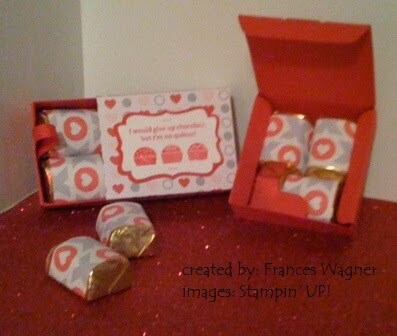 You can purchase My Digital Studio from me or from my website www.franceswagner.stampinup.net for $79.95. Contact me if you would like more information. Below is a few of my Magnificent 10 group looking at the fun things you can make with MDS. Thanks for looking. Stay tuned for more leadership pictures soon. This has been a fun creative weekend. I used the Lots of Love Letterpress plate for the first time. 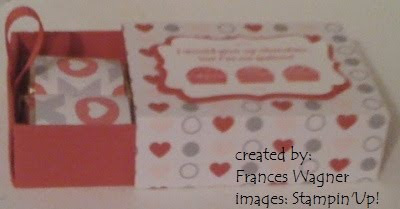 I love the way it looks, I will be using it at my Valentine Stamp Camp Jan 29th. Contact me today to register. 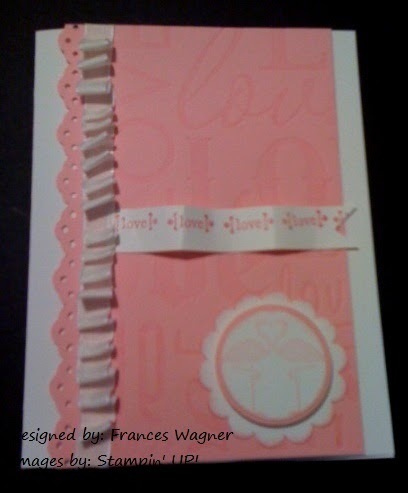 I used the the Flamingos in the Valentine Defined new stamp set, however it is hard to see on camera. Next time I will use a darker color for them. Nothing says Happy Valentines and love like a beautiful heart. 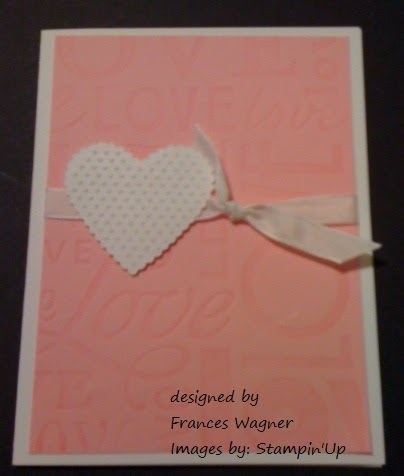 This one is made with the Scalloped Heart of Hearts (an Embosslits die), it is my favorite because I love poka dots of any kind especially dotted swiss and then the edges are scalloped. So so sweet. I got home from Nashville around 2:30 on Saturday and was too keyed up to take a nap (which is what I thought I would do). I organized my next team meeting and called all my downline to chat. 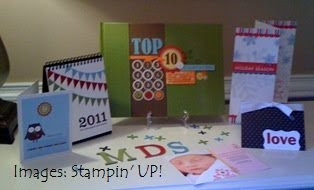 I did unpack finally and did a little digital scrapbooking with our MDS program from Stampin UP! 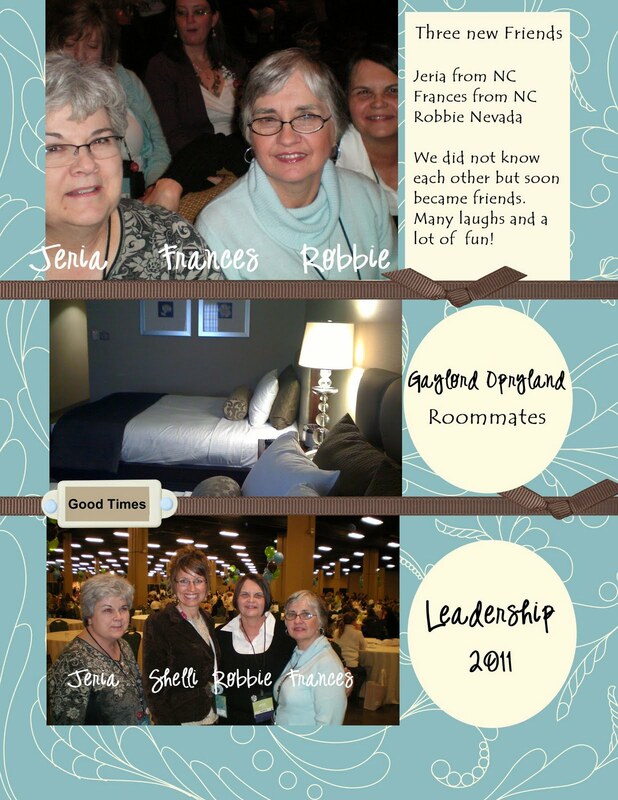 These are my second round of room mates from Wed to Sat and we became fast friends. I will be posting more this week stay tuned for sample boards etc. I am trying something new and don't know if the specials will work, there is a lot of coding sometimes with blogging and I am not sure I have this right so bear with me..
Visit My Site | Shop Now! 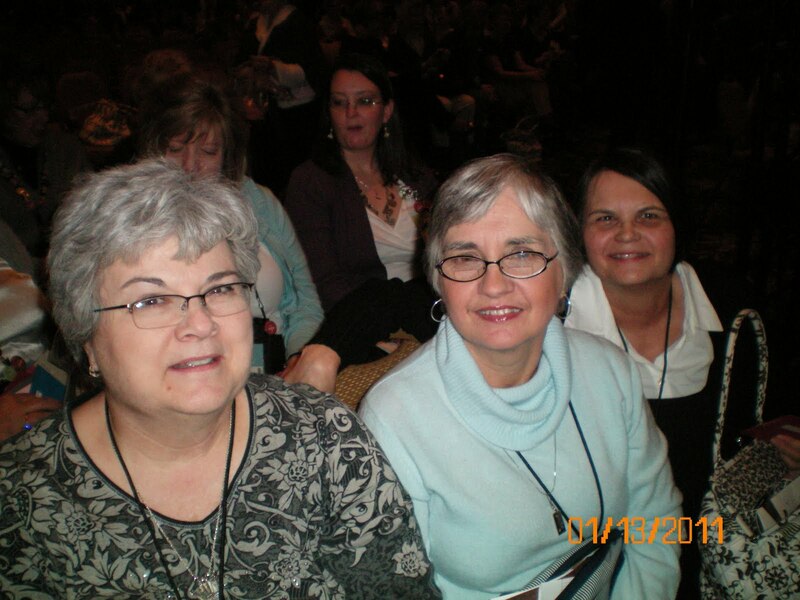 Hello my friends, I am in Nashville, TN for the Stampin UP annual leadership conference. I am here 3 days early, I wanted to get ahead of the snow to make sure I made it here on time. I am excited to be here with no worries. Below is a picture of me in front of the fireplace in the lobby of the Wyndham Time Share where I am staying with Robin Boyer, she took pitty on me when I sent out an email last week needing a place to stay before my orginial reservation starts on Wednesday. She saved the day. 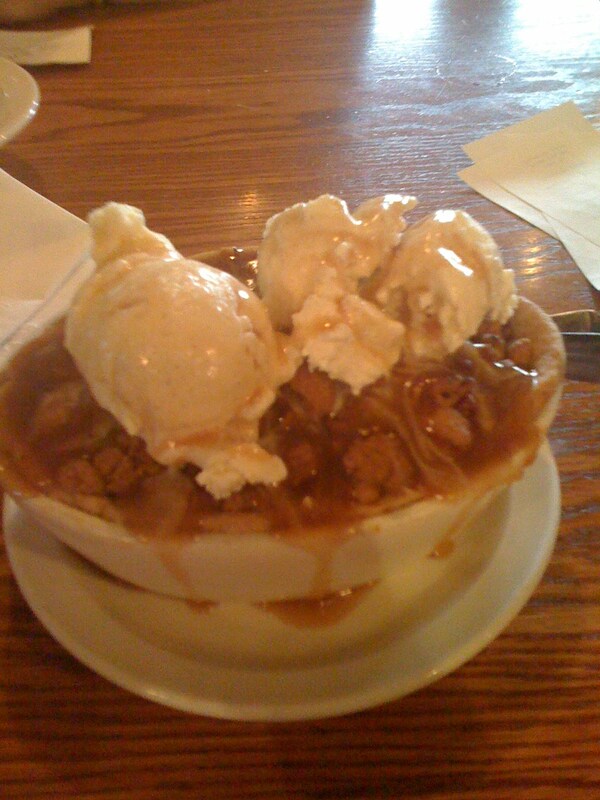 Dessert at Cracker Barrel yesterday - Apple/cinnamon dumplings YUM! Sunday night at the Wyndham, the entertainment for the evening was Donna Chapel (step daughter to Tammy Wynette) it was a nice surprise. 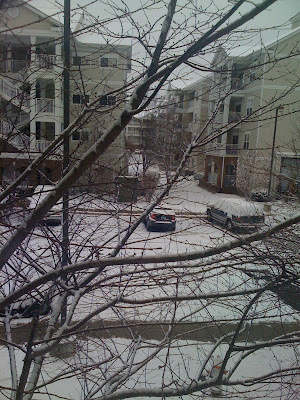 I woke up to snow this morning. Glad we bought groceries yesterday and we are staying in to stamp and read and have a good time. Thanks for stopping by and stay tuned for more fun stuff at leadership. 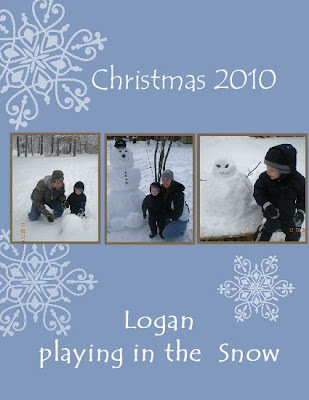 These are two different pages from MDS, the first one I used the picture of Logan sitting next to the snowman as a background and then I did one with just a blue background to show you the difference. This is so much fun. Now I need to start on my family scrapbooks. These photos are of one of my downline Jessica Beasley and her family playing is the snow. Fun times. I hope she likes them. Robert, Logan and Jessica Thanks for stopping by, give me a call if you would like a demonstration on how to use My Digital Studio. I wanted to share this little match box I made with the big shot. I love that machine, plus my next favorite tool My Digital Studio! You may ask what are you talking about I don't see any scrapbook pages or calendars or cards etc. WEllllllllll look closer, I downloaded the DSP Love Impressions from My Digital Studio and put two different images on one piece of paper and ran my office labels through my printer and then took those darn cute labels and wrapped them around the Hershey's Nuggets candy and voila you have a cute little gift. Kay and Gail this is for you hope you liked it. Thanks for stopping by. Now for the rest of this week I have to finish my swaps.